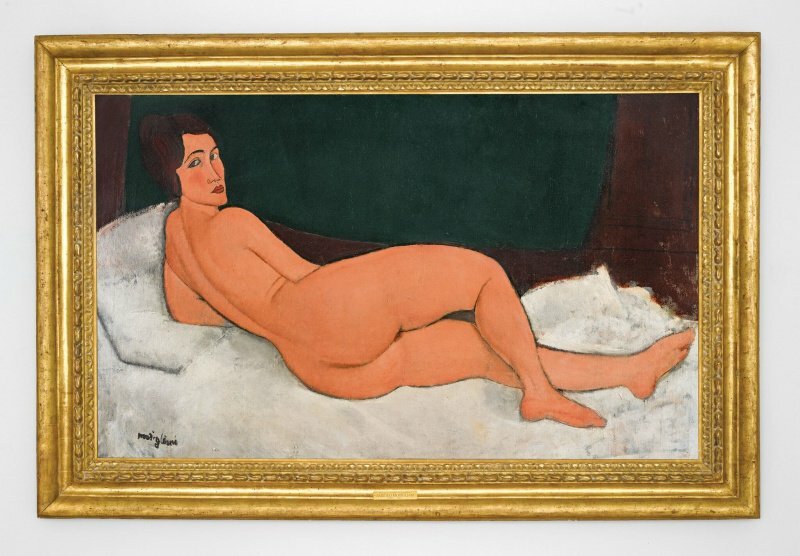 Amedeo Modigliani, Nu couché (sur le côté gauche). Signed Modigliani (lower left). Oil on canvas , 35¼ by 57¾ in. ; 89.5 by 146.7 cm. Painted in 1917. Estimate in excess of $150 million. 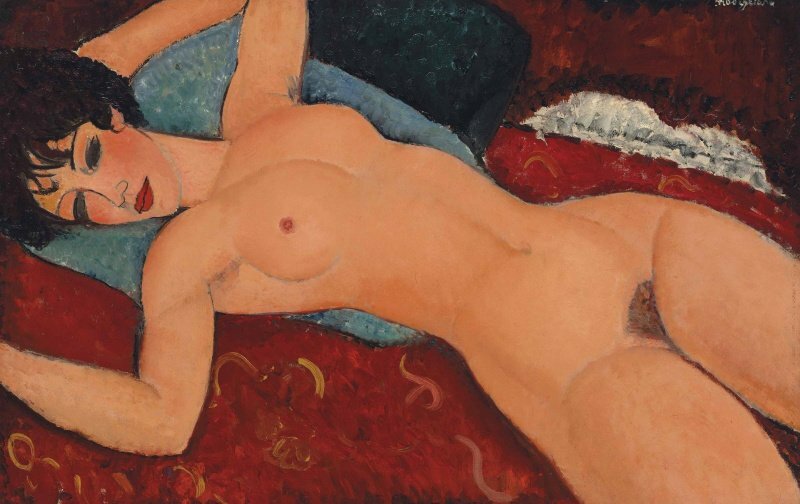 Amedeo Modigliani, Nu couché, 1917-18. Oil on canvas. Sold for: $170,405,000 / £113,000,663 / €157,861,926. Courtesy of Christie’s.